Temporary experience with CGL gives you an advantage if you later apply for a permanent role. Lucy completed a year-long engineering undergraduate placement at CGL in summer 2016. Before joining CGL she was a second year student working for a BSc in Environmental Science at Sheffield Hallam University. Her role as an undergraduate Technician/Placement Engineer involved professionally logging data on rock and soils in the field, gaining valuable and practical skills for when she graduates. Lucy also gained knowledge on groundwater and gas monitoring. She learned how to conduct walkover surveys for geoenvironmental projects and understood the key concepts of CGL’s contaminated land work. Lucy independently wrote geoenvironmental desk studies and geotechnical factual reports, and she assisted engineers in the production of geoenvironmental interpretative reports. 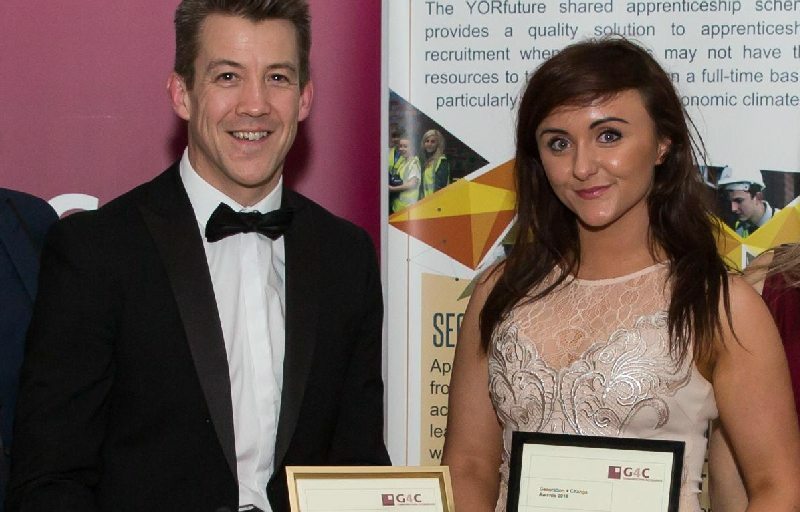 Lucy said: “As a work placement engineer at CGL, one day is never the same as the next! Since joining CGL I have been exposed to a wide variety of different jobs in a short space of time which has meant that I am continuously learning new things about the geotechnical/geoenvironmental industry. 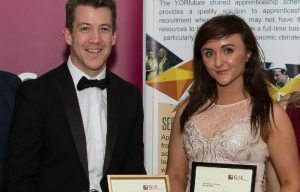 As time progressed I was given more autonomy over my own work, which involved answering client and site queries, meeting deadlines, compiling reports, and encouraging STEM subjects at local schools.” During her time with CGL, Lucy won the Construction Development Alliance Award for Young Construction Environmentalist. CDA Awards recognise young people’s outstanding achievement within the construction industry to exemplify the best attributes in the North West. I opted to include a sandwich year between the second and third year whilst I was an undergraduate in Engineering Geology at the University of Portsmouth. The prospect of working a year in the industry was attractive as I gained direct applicable industrial experience prior to finishing my degree. This was solidified by hearing only positive feedback from students returning from their sandwich year. While searching through companies to apply to, the industrial placement scheme provided by CGL stood out from the rest for many reasons, such as the clearly laid out mission, vision and values that are incorporated into the company core to help pursue an efficient work ethic. A significant factor I was searching for in a company was the opportunity to gain a broad range of experiences in all disciplines to get the most out my time spent there. CGL has allowed me to do just this, through shadowing qualified engineers and working independently in all roles during site work, report writing and project management. After just three months with CGL I felt I had rapidly developed my knowledge and understanding of geotechnical and geoenvironmental consultancy. I was welcomed by friendly employees, and from day one I was putting into practice skills that I had learnt in the first two years of my degree. There was a heavy focus on training both in the field and in the office. Field work training included soil and rock logging, sampling, monitoring and team leadership. I developed my communication abilities; learnt to use technical software packages such as gINT, AutoCAD and ArcGIS; and within the first week I had achieved my CSCS qualification. Working for CGL on its industrial placement scheme enabled me to get a foot in the door of an exciting and rewarding industry. I gained invaluable skills which I would never have gained inside the classroom. It helped me to make clear and informed decisions about the future of my career. 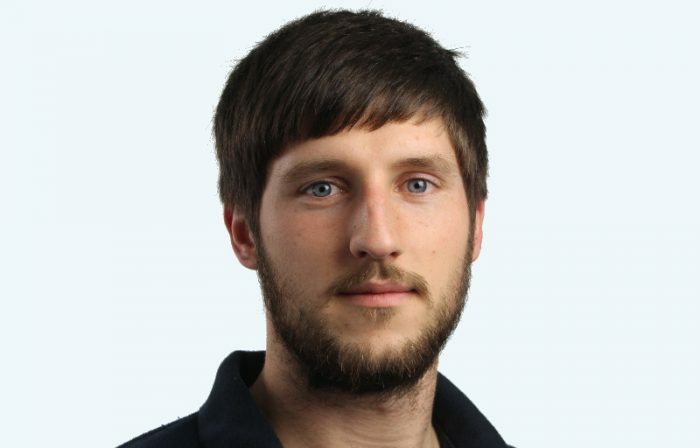 I worked for CGL as part of a 10 to 12 month work placement, acting as part of my four-year degree course in engineering geology and geotechnics at the University of Portsmouth. My time at CGL has been thoroughly enjoyable for a number of reasons. The relaxed atmosphere around the office makes it easy to work and there’s an endless supply of knowledge everywhere. I’ve found that none of my questions (and being new, there are a lot of questions) go unanswered, and I’m not made to feel inadequate because of them. CGL puts an emphasis on training their employees, with regular meetings to discuss new training schemes or similar that will benefit us, and therefore benefit our clients. Within my first month I was put on a CSCS supervisor course and a soil logging course, both with great long term benefits to me and my work. The work I’ve done varied on a daily basis and there is a good mixture of site work and office based work. Feedback I received from course mates doing placements with other companies suggests that they were pigeon-holed into a set work routine which would leave them with a limited experience of the industry. I felt the opposite is true with CGL, as I was pushed to try new types of work, whether it’s logging, monitoring or sampling onsite, or completing desk based studies in the office. I had regular opportunities to give feedback about CGL and how my placement was going, whether I would change anything or like to do anything new, and my comments were always heard and acted upon. YINI – How I took a Year in Industry with CGL and ended up in prison! 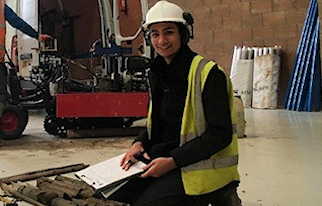 As an Industrial Work Placement Engineer at CGL, you really get to experience what it means to be part of a geotechnical/geoenvironmental consultancy. Despite being an undergraduate student, there’s an enormous variety in projects you can get involved with. One of my main jobs during the year was the writing of Phase 1 Geoenvironmental Desk Studies. These initial site appraisals provided a good introduction to thinking about contaminated land and potential ‘source-pathway-receptor’ relationships. These desk studies would also involve undertaking a site walkover, which provide a good opportunity to get out of the office, go take some pictures and poke around a site. Throughout the placement I would also regularly have the opportunity to take part in the initial proposal stage of projects, assessing the best scope of works for a site and pricing it up. Whilst the majority of my work was office based, I have also spent time onsite. I undertook routine groundwater and gas monitoring at a range of sites in Leeds, Chesterfield and Kendal and then assisted other engineers during larger site works projects where we had multiple drilling crews onsite. Towards the end of the year, I took the lead in a project at HM Prison Full Sutton, near York. It was proposed to turn a current open grassed area between prison wings into a fenced training yard with an access track. I supervised the drilling works which, after we got through the extensive security checks, involved drilling five window sample holes and some probing. It was definitely an interesting experience, even if it was a little daunting at first! Overall, taking a Year in Industry with CGL has been a valuable experience and I would highly recommend it to any Earth Sciences/Engineering undergraduate students interested in a work placement. I came to CGL (Harrogate office) during my summer vacation between the third and fourth year of studying Geology at the University of Southampton. With my Masters Project based in the environmental sector (Lead isotope tracing of road-derived contaminants in the Brighton – Worthing Chalk aquifer system), it was very interesting and extremely useful for me to see the contrast from academia to professional works within the Environmental/ Geotechnical sector. During my placement, I was mainly involved in Phase I Geoenvironmental Desk Studies, with most of these reports leading to further site investigation (Phase II). The main aim for these Desk Studies was to look at potential contaminant pathways, based on the source – pathway – receptor model. These reports included site walkovers, creating a PCSM (Preliminary Conceptual Site Model) and also meeting clients to discuss development plans and site history. In addition, I was involved in writing proposals for clients, constructing Health and Safety documents for site visits (such as RAMS) and designing spreadsheets to help save the company (and clients) both time and money. My placement has taught me a number of key skills involved in the workplace, with a particular focus to being proactive, report writing and helping the team in any way possible. I would highly recommend CGL for anyone thinking of a work placement, mainly due to the numerous opportunities available to you as well as being included in a friendly and helpful team! 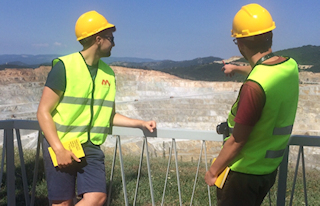 We normally offer two to three work placements per year to help undergraduates typically in civil engineering or geology to develop their careers in geotechnical and geoenvironmental engineering. Please register your interest for 2019 using the form below and enter ‘Work placement 2019’ in the first box titled ‘Position applied for’.